Elijah Streams: Watch! Ivan Roman How to Unlock Your Spiritual Gift to Hear, Prophesy & Discern What God is Doing! We are excited to bring you our latest episode of Elijah Streams this week! I have known Ivan Roman for quite some time, and he is highly anointed in his prophetic gifts… AND he wants to teach the Body of Christ how to tune-in and hear the voice of God on a whole other level—in multiple ways. Ivan also is known for calling himself a "friend of God" which is vitally important in hearing God's voice as we grow closer to and come into communion with Him. If you want to discover fun and useful keys to grow daily in your prophetic gifting and revelation—I want to encourage you to watch today's episode of Elijah Steams with Ivan Roman…THEN get his products below that we've put together just for YOU—to go further in the prophetic than you ever have before! I hope you enjoy watching and growing with Ivan Roman today! 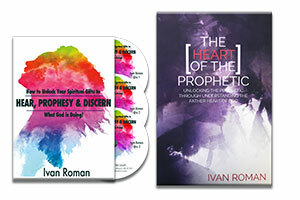 Call NOW to order Ivan Roman's NEWEST BOOK, PLUS HIS THREE-CD set called, "How to Unlock Your Spiritual Gifts to Hear, Prophesy and Discern what God is doing!" 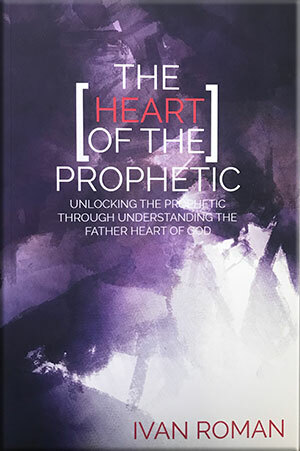 Ivan Roman's book: "The Heart of the Prophetic: Unlocking the Prophetic Through Understanding the Father Heart of God" and HIS 3-CD set—which will help you increase your spiritual gifts to hear, prophesy and discern what God is saying and what God is doing. Do you want to increase your GIFTING in hearing the voice of God, LEARN TO prophesy to others, and also to discern in the spiritual realm? He'll provide key insights to increase the prophetic gift and the prophetic flow FROM GOD in Your life. How the gift of prophecy and the "office" of a prophet are two different entities and how you could have one or both of these. Fun and useful keys to grow daily in your prophetic gifting and revelation. Don't miss out on this sensational package by Ivan Roman made exclusively just for you – our Elijah Streams viewers!